In Baltimore City Hall Thursday morning, at an unrelated press conference, City Solicitor Andre Davis was pressed about Healthy Holly controversy and its related investigations. BALTIMORE, Md. 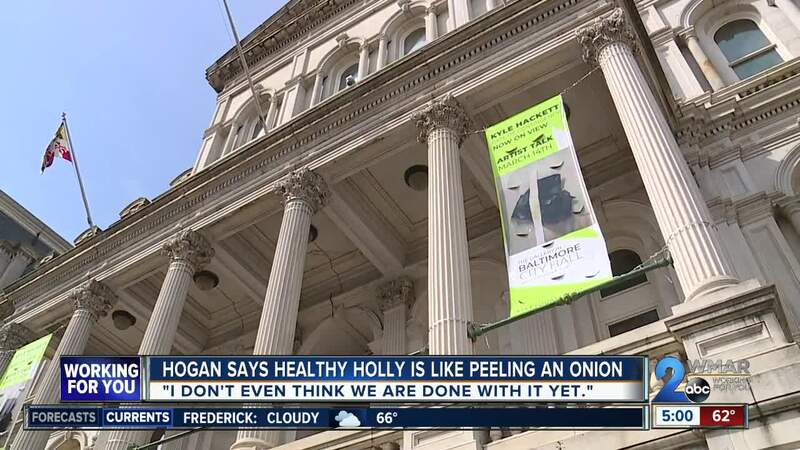 — In Baltimore City Hall Thursday morning, at an unrelated press conference, City Solicitor Andre Davis was pressed about Healthy Holly controversy and its related investigations. While the city law department starts its review of recent contracts to make sure everything is on the up and up, it cannot and would not reveal if any organization has served the city subpoenas related to the Mayor Catherine Pugh Healthy Holly controversy. “We do not want to hinder or impede, and we will not hinder and impede any investigation. So, the law department will not confirm until it is appropriate to do so, the receipt of any subpoena,” said Davis. Davis says when law enforcement comes seeking records, they ask for confidentiality and the city always complies; when it is appropriate he says, it will be public. Meanwhile, out in public, Governor Larry Hogan made his way through the Orioles Opening Day crowd to take some questions. While the surprising Orioles are enjoying their new start, he says perhaps the city might benefit from the same. “I just want to reassure the citizens of Baltimore that we are gonna do that, we are gonna come together and the city is going to be better off when we get to the other side,” said Governor Hogan. Hogan called for the State Prosecutor to investigate last week and he wants to see the result of that before passing a final judgment, but he admits, it doesn’t look good. Meanwhile Hogan says he will sign the reform legislation passed this session which, among other things, calls for the resignation and re-application of the entire University of Maryland Medical System board.